In this post, you can see some useful alternatives to MS office which can be used on your iPhone or iPad. Here we listed best office apps for your iPhone & iPad which can help you to create, edit, view and share MS office files from your iPhone or iPad. You can use these office suite as alternatives to MS office suite. Okay let’s check these useful office apps. 1. WPS Office By Kingsoft ( iPhone & iPad ) – WPS Office is one of the best office suite for iPhone & iPad that can be used to create and edit all types of Microsoft Documents from your device. You can create, view, edit and share MS word documents, Excel files and PowerPoint slideshows on your iPad. One of the best office apps for iOS users and it comes with quick editing options. Quick Office also allows you to view PDF files on your device. Great app that can be used as an MS office alternative. If you are looking for free alternative to MS office suite, WPS Office is the perfect option for your device that is currently available free of cost on the App store. The app helps you create, view, edit and share all types of documents from your iPhone and iPad. Recommended office app for iOS users. 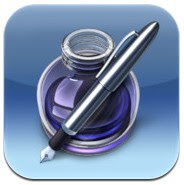 2. iWork for iOS ( iPad & iPhone ) – iWork is the best alternative to MS office suite developed by Apple. iWork comes with more easy to use features than MS office suite and all of iWork apps ( Keynote, Numbers & Pages ) are compatible with MS office suite. Pages ( Alternative to MS Word ) – Pages is one of the best alternatives to MS word that can be used to create, edit, view and share documents from your iPhone and iPad. Pages is compatible with MS Word. This app lets you easily create beautiful letters, reports and other types of documents from your iOS device. Pages is a beautifully designed word processor for iPhone and iPad that comes with 16 stylish templates and lots of word processing options. Pages also allows you to share your documents by exporting it as a Pages ’09, MS word , PDF or sending your document via Email. One of the best options to create, edit, view & share documents easily from your iPhone or iPad. 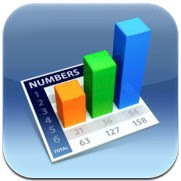 Numbers ( Alternative to MS Excel ) – Numbers is an easy to use app that can be used as an alternative to MS Excel. You can create spreadsheets, plan, 3D charts , table, graph and much more using this app. Numbers also supports MS Excel & CSV files so that you can easily create, edit and share your MS Excel files from your iPhone and iPad. Numbers comes with 16 pre designed templates including budget template, travel planner and running log. Numbers lets you create and edit beautiful spreadsheets, great looking table , charts and graphs and use more than 250 built-in formulas. 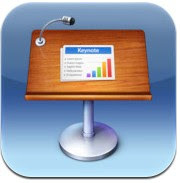 Keynote ( Alternative to PowerPoint ) – Keynote is a very useful app to create powerful and beautiful presentations from your iPhone and iPad. You can use this app as an alternative to MS PowerPoint because it comes with almost all of necessary PowerPoint features. If you are looking for professional presentation making app that can be used easily, you must try Keynote that comes with 12 stylish themes including many presentation making features. 3. 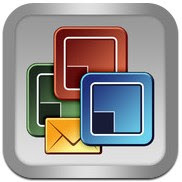 Documents To Go ( iPhone & iPad ) – If you are looking for universal office suite for your iPad or iPhone, you can use Documents To Go that lets users create, edit, view and share all types of MS Office files. Fully featured office app that helps you to create and edit documents easily from your iPhone and iPad. Documents To Go has nice user interface and lots of features such as – creating & editing MS word, excel spreadsheets and powerpoint slideshow, cloud Synchronization feature, free desktop app etc. One of the best alternatives to MS office. 4. 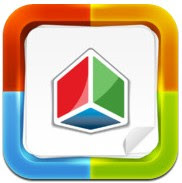 Citrix QuickEdit ( iPhone & iPad ) – Great office app that can be used to create, view, edit MS word documents, Excel spreadsheets and PowerPoint presentations. If you are looking for easy to use office app for your iPhone or iPad, Citrix QuickEdit would be the perfect option for your device because it has all of necessary features which are found in MS office. The app also lets save your files in PDF formats. 5. 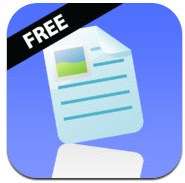 Documents Free Mobile Office ( iPhone & iPad ) – If you are looking for free office app for your iPhone or iPad, Documents Free Mobile Office could be perfect option for your device that lets you edit , view and share documents from your iPhone and iPad. Comes with beautiful interface and some useful quick editing options. 6. Smart Office 2 ( iPad & iPhone ) – Smart Office 2 is a fully functional MS Office compatible app that comes with lots of useful options. With this app, you can quickly edit, create, view and share MS word documents, MS Excel spreadsheets and MS powerpoint slideshows. The best office app that lets you create and edit major documents, export them as PDFs , send and receive email attachments and create new documents from optional templates. Great office app for iOS device.